I can't solve a Rubik's cube. So I built a robot that can solve one. 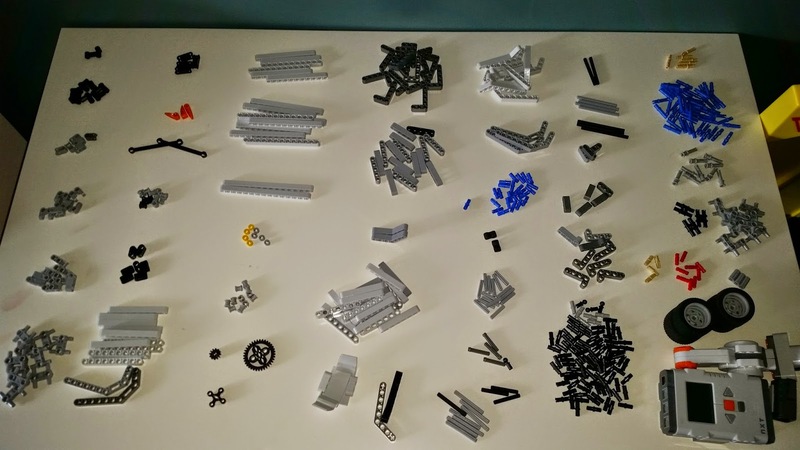 This summer, the Dude and I completed a Lego Mindstorms NXT building challenge during our vacation, trying our hands at building the amazing MindCuber: an autonomous robot that solves Rubik's Cubes. It's fast, loud and incredibly impressive to watch. And it works. There is an incredible community of Lego builders around the world, and they love to share their knowledge. I've told you before about Brickipedia, the Lego wiki. And about Brickset, the fully searchable Lego inventory. In the same vein, we came across the MindCuber website: a detailed repository of instructions, software, videos, hacks and FAQs required to build the MindCuber, developed by David Gilday. Yes, someone designed and programmed this amazing Rubik's cube solving robot first, then shared all for the world to replicate. 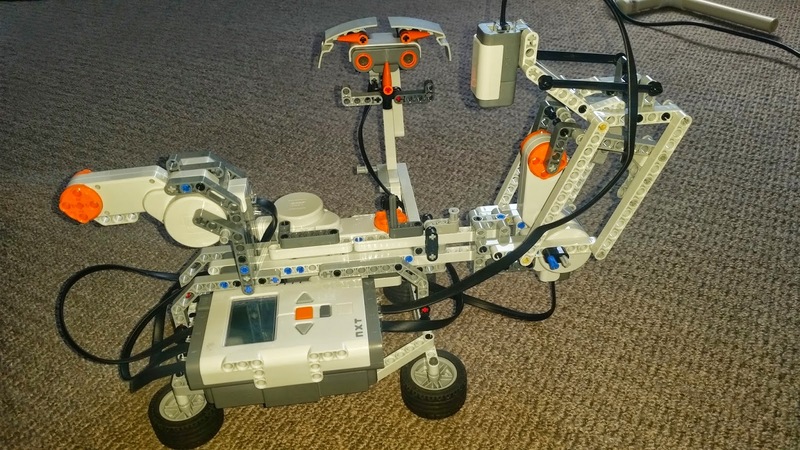 He even adapted it to all the different Mindstorms kits, so it's accessible to all. 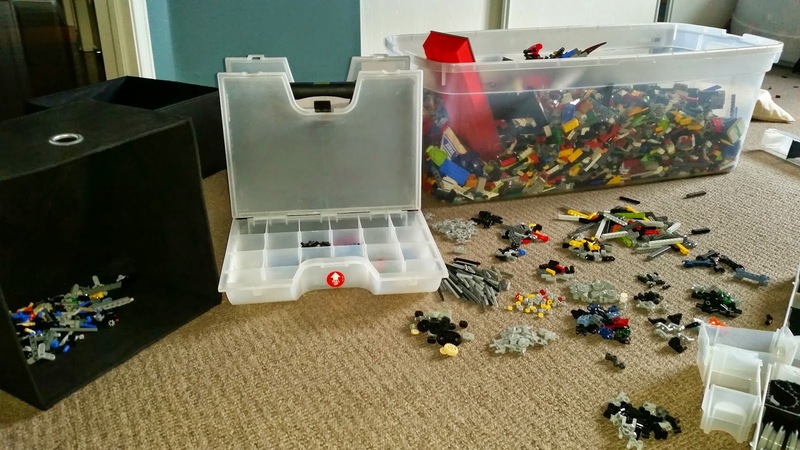 Open Source Lego FTW! This build was a bit more than a rainy day project. In fact, it was no small feat but it was a ton of fun. The first time we ran it and it worked, both the Dude and I shrieked with joy. After a week from the time we started sorting all the pieces until we got the build finished, a lot of effort went into making this robot work. And to watch it aggressively solve the cube (trust me, there is nothing gentle about this machine) was exhilarating. One the first build it worked almost perfectly, mixing up a couple of red and orange tiles. We ran it a bunch of times and twice it solved the cube almost perfectly. The rest of the time it would error out. It turns out that our NXT set has an ocular sensor that isn't very good at differentiating between the red and orange squares on a standard Rubik's cube. The only way we could have gotten it working perfectly would have been to buy a new sensor, an investment we weren't prepared to make for the sake of a single build. But it worked. Twice. And that was enough to call it a success.